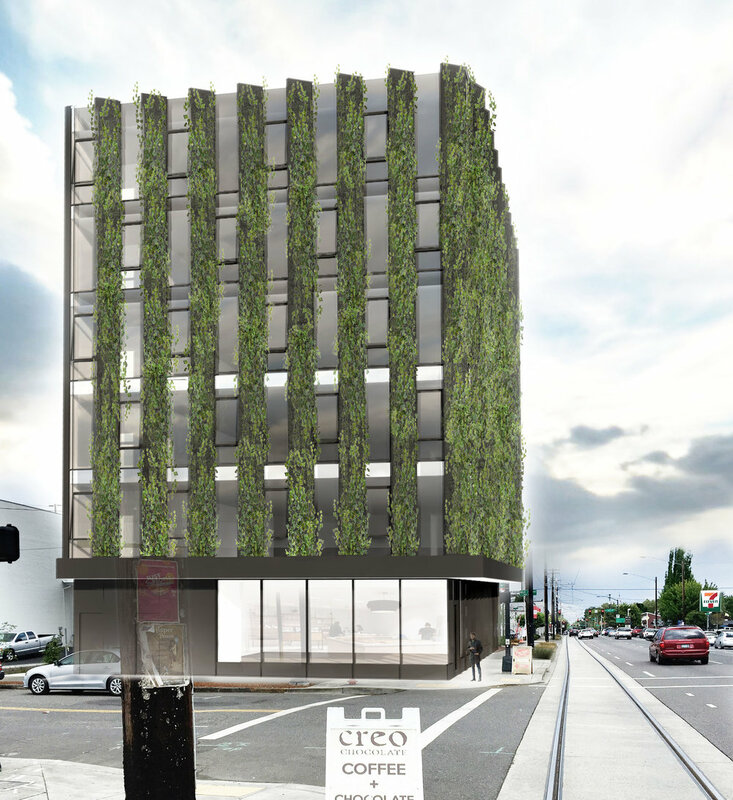 The Filter is a new compact 6-story mixed-use office building located on the new Portland Streetcar line. The open transparent facade is composed of repeating vine covered fins rotated slightly to provide the appearance of a solid green wall when viewed obliquely. The rhythm of the facade is reminiscent of the defining buildings in the district, while the vines create an ever changing living facade with the additional benefits of solar shading. A concrete podium contains ground floor retail, while wood frame construction above provides 5-stories of open office.